Four months after Spotify released their running companion Spotify Running, it has announced that the feature is now available for Android users. It announced the update earlier this week on their blog. The feature, originally released for iOS, has, according to Spotify, gathered millions of users to hit the road. Once your smartphone detects that you are running, it will gather information about your running pace and match it with its own collection of tracks. Based on your own preferences, you can select the genres from a list, which ranges from metal to country to throwback hits. The matching tempo will then push you to keep pace. 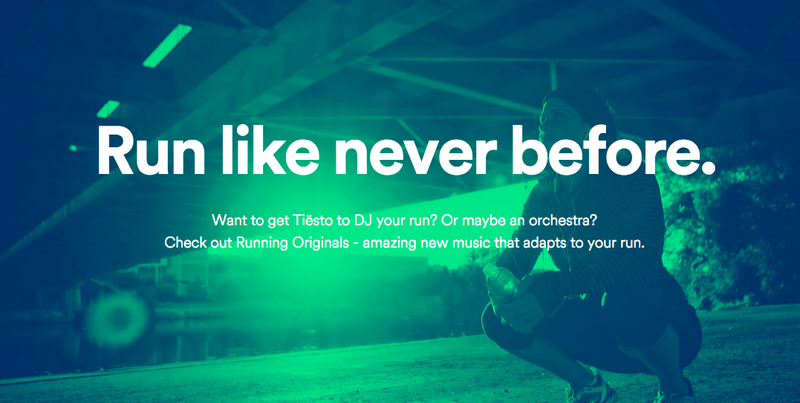 To accompany this feature, Spotify has even created Running Originals, its own set of tracks that adapt to your changing running speed in real time. It may have taken quite a few months for Android users to get this feature, but it has been available to a small group of Android Beta users for a while now. Spotify is known for slowly rolling out updates to everyone, so it may still take quite a while to reach your smartphone, if you haven’t already gotten it. It should be visible on the right-hand side of your app. Check out their main page for more info.